Most Teenagers are a product of their culture and our culture is all about the consumer. Marketers have been targeting our kids for years and playing to their emotional needs. Ten’s of thousands of hours of screen time and all the related ads can’t be undone in a 30 minute pep talk. Because of this when it comes to Teenagers; they will understand most biblical truths through the lens of how it affects their lives. Cognitively they should be able to think outside of themselves, however in our society it’s not an issue of ability, it’s an issue of conditioning. To reach teenagers you have to make a personal appeal or they will tune you out. Even kids who have grown up in Christian families and have a strong background in church will have a hard time paying attention if you don’t address how the scripture relates to them personally. Quite frankly teenagers have been programed to be self-interested thinkers. You need to get to know them well enough to relate biblical truth to their personal needs. However, don’t make the mistake here of falling into moralism (good apart from the gospel). 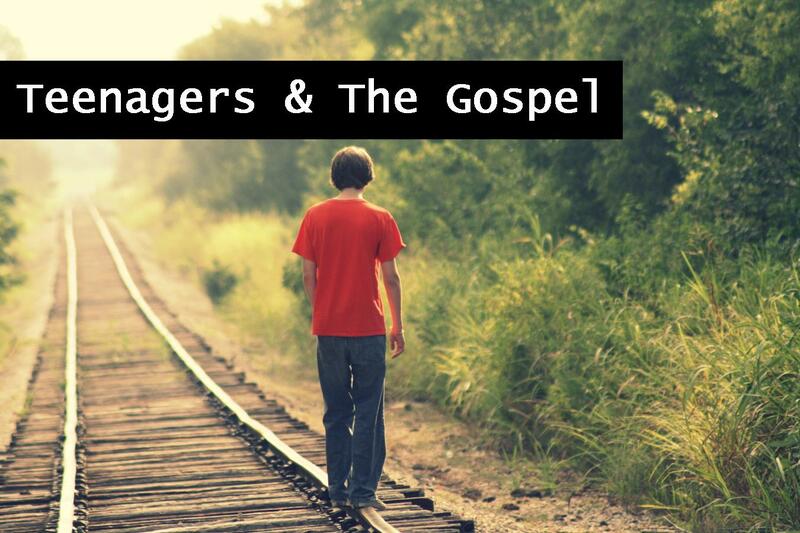 Teenagers need the gospel. Help them to see their need for the Savior. Having a self-interested teen can be a mixed blessing. On one level you can’t compete with millions of dollars of marketing, well written scripts, and super model actors… on the other hand… those people don’t know “your” teen. While you may be less entertaining than the latest super bowl commercial, a little time well spent learning about the teens in your life can give you more credibility than axe body spray ever had. Teenagers make decisions based on feelings more than rational thought. Physiologically they are still developing the rational part of their brain while the emotional impulse part of the brain is already developed. They default to what they know. Something which seems cut and dry to you, is a major issue to them because they simply lack the development in their brains to process the situation the way you can as an adult. They can still get there, it’s just not the preferred method and it requires you to connect a lot of the dots for them. Think of this as exorcising a weak muscle. The tendency to default to emotion is why students can sometimes be prone to “drama.” Teens often use the filter of feeling (“how does this make me feel”) to evaluate their circumstances and to make decisions. We need to guard our kids in this area because it leaves them open to manipulation. The positive side of this is that teenagers are able to be empathetic. However, rarely do they ever get there without some help or guidance along the way. It is generally good when ask “How do you think it made them feel?” When talking about how our actions effect others. Grumpy Teen: If you are a parent dealing with a grumpy teen take in to account how many hours of sleep your child is getting each night. Most studies indicate that middle school age kids need around 9 hours of sleep or more per night and only about 15% of teens are getting enough sleep (There is a reason they would sleep till noon on Saturday if you’d let them). If 13 year-old Tommy is acting like the 3 year-old Tommy when he didn’t get his nap, it’s probably because 13-year-old Tommy is tired. Challenge: How well do you know the teens in your life? If you don’t already, schedule regular personal time with your teen doing something you both value. What emotions tend to rise to the top when you are carrying on a conversation? Pray for the teenagers in your life. Ask God to give you wisdom in applying the scripture to their needs. How is their sleep schedule? Sometimes a late weekend wake up is due to not enough sleep during the week.